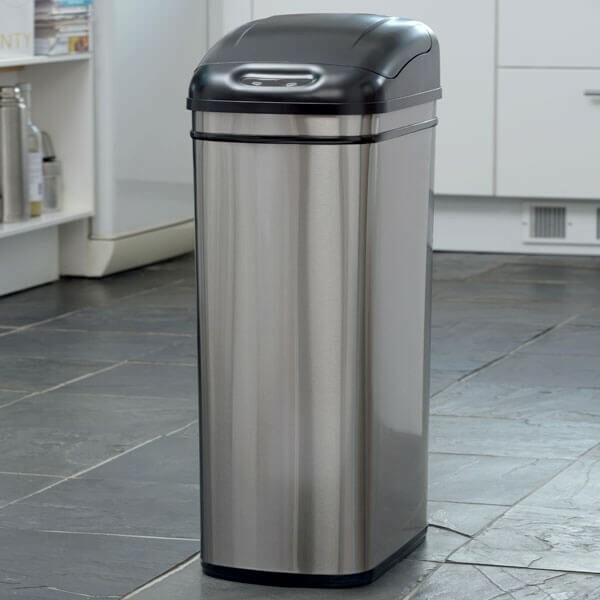 This slimline stainless steel bin has been stylishly designed for modern living to fit into tight, narrow spaces. 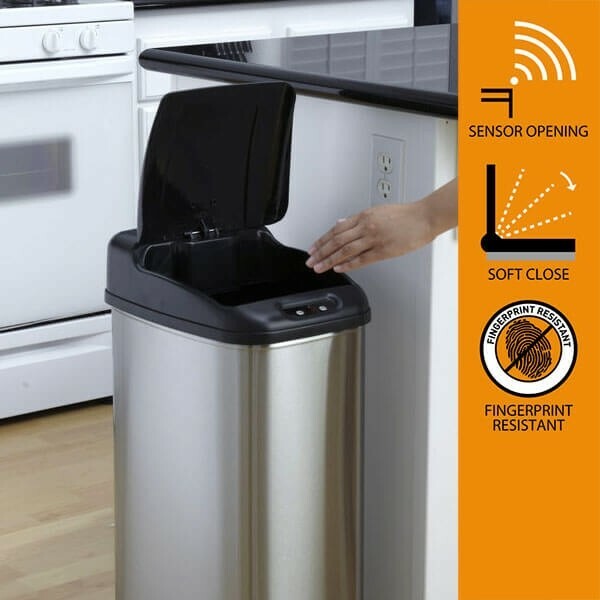 The 50L Original Series motion activated sensor bin helps opens and closes automatically without the need to touch. 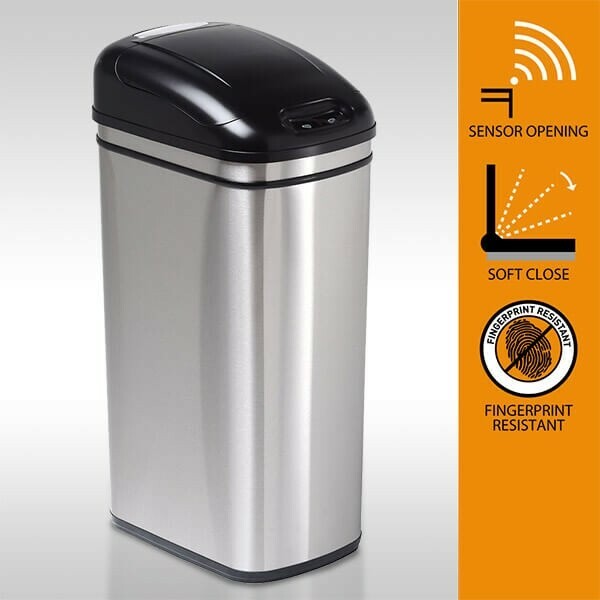 It utilises patented infrared sensors to open the lid automatically before closing after 3 seconds, There is, however, a manual override button to keep the bin open as long as desired. The Slimline autobin is tapered in design for ease of removing bin liners. The body of the bin is built from fingerprint resistant high-grade brushed stainless steel for ultra durability. The 50-litre capacity and elegant styling of this bin make it ideal for use in the home, workplace or any professional setting where hygiene is valued, and aesthetics are important. As well as the sensor, which allows touch-less operation, the bag retaining ring used inside the bin makes it easy to keep clean by preventing spillages by securing the bin liner bag from slipping into the bottom of the bin. With its tall, slimline profile, the large capacity, the 50L slimline stainless steel bin makes it ideally suited for both home and workplace. Because of its touch-free operation, it is popular with the catering trade for use in restaurant kitchens and is used in medical surgeries and other hygiene-focused settings such as schools and nurseries and residential homes.